Highgate Archway bridge was London’s (probably the world’s) first flyover, begun in 1812. This book celebrates the centenary of the building of the present bridge. At the time when this book was written Simon Morris worked as a solicitor in the City. He was Publications Secretary of the London Topographical Society and writing a PhD thesis on London’s road and bridge system in the 19th century. At the time of writing this book, Towyn Mason worked in journalism and broadcasting. 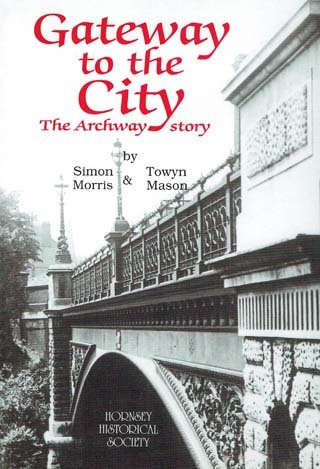 He lived within sight of Archway Bridge and helped organise events for the bridge’s centenary in 2000.